From our very first phone call I knew Stephanie was a perfect match for us. She spent a lot of time on the phone getting to know us, answering our questions, and being available to meet up for coffee before we even made the decision to sign a contract with her! She was very relatable and easy to talk to. 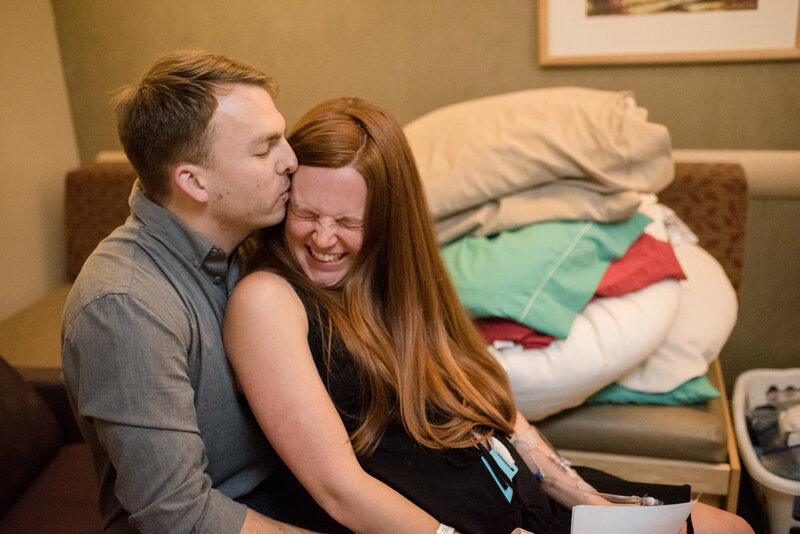 We had a complicated pregnancy and a long history of loss, and Stephanie was always keeping up with us and offering support throughout our entire pregnancy. On the day we induced, she came a few hours early because she had a feeling things might progress soon...and boy are we glad she did! Stephanie went above and beyond the call of a photographer by cleaning up after us, giving me juice boxes to keep up my energy, helping me get in a good laboring position, grabbing the fan at just the right moment, calling the nurse in when we were ready to push, and oh yeah, taking the most stunning pictures of our miracle baby’s birth! Even though Stephanie did a lot more than a typical photographer would have, she also was very respectful of our space and I honestly forgot she was there. A couple days after our little boy was born, without me even asking, Stephanie sent me a list of what happened at what times according to her camera’s time stamps so I could have them for my journal (you moved into transition at x time, he started crowning at x time, etc.). It might sound silly but this meant a lot to me, as I wanted to remember every detail. Before she left the hospital after our baby was born, she texted us two of the pictures she took, and those two beautiful moments she captured alone were completely worth every penny...I absolutely cannot wait to see the rest of them in a few weeks!! !